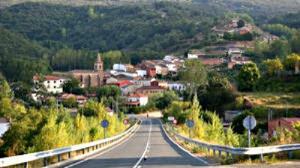 Arrubal is a municipality in the autonomous region of La Rioja, around 20 km from Logroño. The population is 475 (2009) and the municipality measures 7.35 km². The town is close to the River Ebro, and the El Sequero industrial estate and the Arrúbal power station are within the municipal area providing many jobs. -Location: It is part of the district of Logroño. 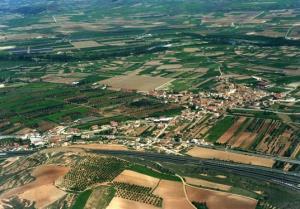 Arrúbal is on the right bank of the River Ebro. -Economy: There were big changes in the municipality when the area was developed, especially once the El Sequero industrial estate was built. Most of the municipality's residents work on the industrial estate. Farming is also important in the town and a lot of grain, asparagus, potatoes and fruit and vegetables are produced. Clavijo is a municipality in the autonomous region of La Rioja at the top end of the ridge formed by the Cameros Mountains. The mountains descend from the Ibérica mountain range towards the north and the Ebro Valley, separating the Leza and Iregua Valleys and the districts of Camero Viejo and Camero Nuevo, which make up the Cameros. To the north it borders with Alberite and to the south with Soto en Cameros and Leza de Río Leza and to the east it borders with Ribafrecha and to the west with Nalda and Albelda de Iregua. 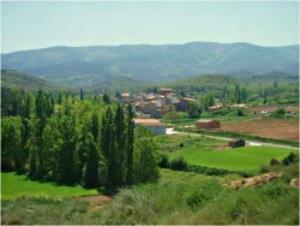 -Populated areas, neighbourhoods or villages: The village of La Unión de los Tres Ejércitos. 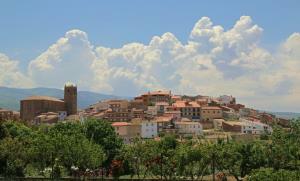 -Economy: The town's activity is essentially farming. Daroca de Rioja is a municipality in the autonomous region of La Rioja, around 19 km from Logroño. The municipality has 48 inhabitants and measures 11.29 km². -Location: It is part of the district of Logroño. It is in the western Iregua Valley. -Economy: Residents make their living from farming and forestry. El Cortijo is a Spanish town in the municipality of Logroño, La Rioja. It is on the right bank of the River Ebro. The town has a population of 209. -Location: It is part of the district of Logroño and a neighbourhood of the capital city itself, although it feels very much like a village. It is on the banks of the River Ebro. -Economy: The main activity is the production of grapes and grain. Livestock farming is also important. , El Cortijo es una localidad española del municipio de Logroño, en La Rioja, situada en la margen derecha del río Ebro. Su población es de 209 habitantes. 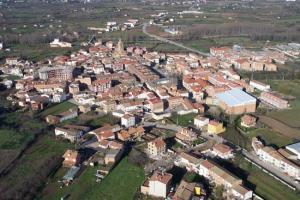 Entrena is a municipality in La Rioja, around 12 km from Logroño. On 1 January 2011, the municipality's population was 1,503 and the area measures 21.03 km². The town centre stands at a height of 559 metres. The area borders Navarrete and Lardero to the north; Albelda de Iregua to the east; Nalda, Sorzano and Sojuela to the south and Medrano to the west. -Location: It is part of the district of Logroño. It covers the area around the Vasa Stream in the western Iregua Valley. -Economy: The main activity is farming and the related canning industry. The main crops are fruit and vegetables. 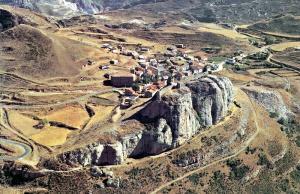 Fuenmayor is a municipality in the autonomous region of La Rioja. It is between the River Ebro and the N-232 road, next to the Castejón-Bilbao train line. This strategic location has helped the town's development. 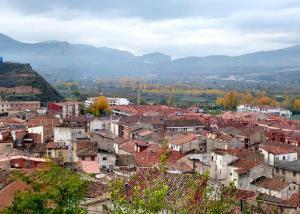 Young people from neighbouring villages and Fuenmayor itself call this town «Fuxu» or «Fuchu». -Location: It is part of the district of Logroño. It is very close to the River Ebro. -Populated areas, neighbourhoods or villages: The La Estación neighbourhood. -Economy: The main activity is farming, particularly grapes and other produce used in the food and wine industry. Hornos de Moncalvillo is a municipality in the autonomous region of La Rioja. It is in the western Iregua Valley. -Location: It is part of the district of Logroño. It is in the western Iregua Valley in the northern foothills of the Serradero Mountains. -Economy: The main activity in Hornos is dry farming, particularly barley, fodder, leguminous plants and grapes.